Really fun Piece for me, love this subject matter! The treasure chest has his daughters initials in it. 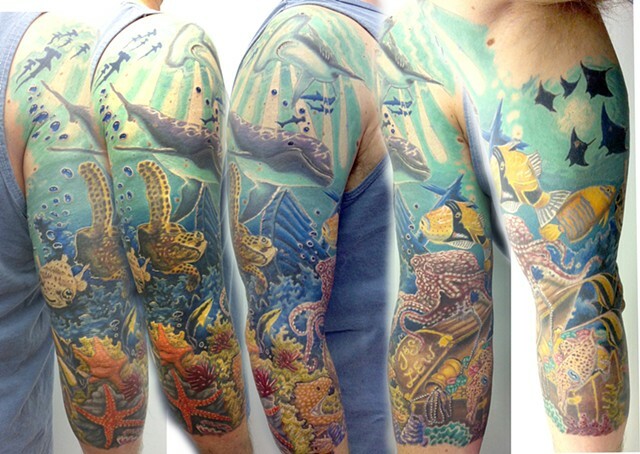 About 36hrs to complete this detailed 3/4 sleeve! Thanks Cody for trusting me with this project!